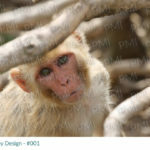 In the aftermath of Hurricane Maria and to this day, the lack of vegetation created great stress, not only on the primate population, but over the ecological viability of Cayo Santiago. Due to aggravated coastal erosion. 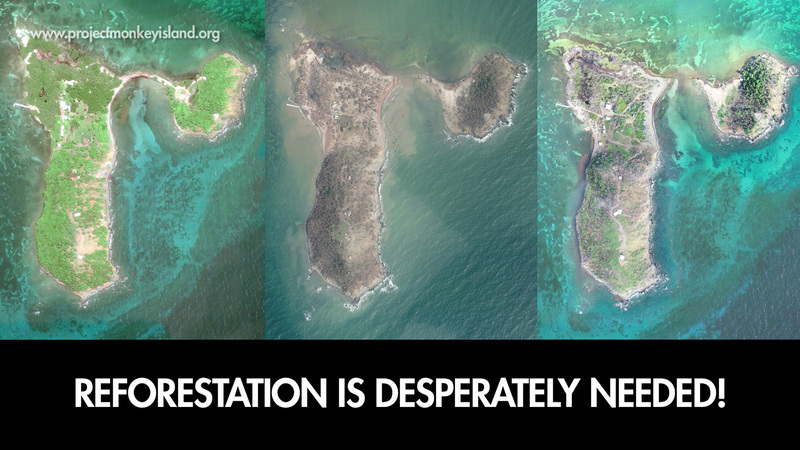 the 38-acre island has seen a loss of almost 3 acres and is in a vulnerable state. 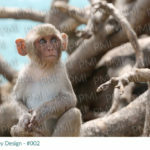 This, along with extensive soil loss and a great reduction of shade, the food and foraging grounds for the fauna is not enough to sustain even a fraction of the Rhesus colony. Reforestation in combination with a series of soil stabilization alternatives, is the answer. Our reforestation project includes a little something extra that other reforestation projects lack…the development of structures that will protect newly planted vegetation from the access and disturbance our rhesus macaques will undoubtedly cause prior to the plants’ natural adaptation process. Without these plant area enclosures, the monkeys will destroy the newly planted vegetation. Reforestation and soil stabilization will allow for the accelerated development of forest structure, species composition, and canopy that provides many benefits including habitat, water, nutrients, foraging and maintenance of soil productivity through soil erosion reduction. Additionally, the funding will support a facility that is currently conducting active research that can address emerging questions associated to climate change in a mammalian species that is used as a model for conditions that affect humans. We have received the commitment and support of Foundation for Puerto Rico, the Department of Natural Resources, the USDA NRCS Caribbean division, and the non-profit Para La Naturaleza either by the donation of seeds, materials, and expertise. We need your support to launch our 12-month reforestation pilot project! Help us reach our first goal of planting 1,000 trees and mangrove seeds! Tree Planting on Cayo Santiago with Mailed Commemorative Card New trees will be planted in you or your honoree’s name on Cayo Santiago that is in desperate need. These trees will help create shade and foraging sources as well as rebuilding the natural barriers that protect the tiny island from erosion thus protecting the Rhesus Colony and its habitat. You can give a gift of trees, memorialize a loved one, celebrate a special occasion, or just give back because you wish to help restore Cayo Santiago’s forest before erosion becomes too extensive. Each tree planting includes a personalized commemorative card to be mailed to you or your gift recipient. Your personalized card will be stamped and mailed to the mailing address provided at check out. Choose from the selection of our commemorative greeting card designs and customize it with your personal message. If you wish to give someone the gift of trees for Cayo Santiago but do not have a mailing address for a card, our e-certificates can be shared via email or social media (or you can print and frame). 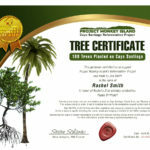 Order a tree planting on Cayo Santiago and receive a customized e-certificate (PDF) to commemorate the planting. Now you can give the gift of trees to someone via email or social media – no mailing address is required. New trees will be planted in you or your honoree’s name on Cayo Santiago that is in desperate need. These trees will help create shade and foraging sources as well as rebuilding the natural barriers that protect the tiny island from erosion thus protecting the Rhesus Colony and its habitat. Your tree planting gift includes an e-certificate that you can print out and frame, or send to your recipient via email or social media. Our e-certificates are 100% customizable – you can plant trees in celebration for holidays and special events, for company recognition, or in lieu of sending sympathy flowers. Select your number of trees to be planted below, then click Add to cart to start personalizing your certificate. Note: You will receive your custom e-certificate via email within 1 business day of placing your order. E-certificates are sent in a PDF file format (Get Adobe Reader to view your certificate). Your e-certificate will be sent to the email address that is provided at checkout. Honor friends and loved ones with gift of desperately needed trees on Cayo Santiago this holiday season. New trees will be planted in your honoree’s name on Cayo Santiago. These trees will help create shade and foraging sources as well as rebuilding the natural barriers that protect the tiny island from erosion thus protecting the Rhesus Colony and its habitat. Please know that your purchase makes a difference that grows with each gift level. Each tree planting includes a personalized commemorative card to be mailed to you or your gift recipient. Your personalized card will be stamped and mailed to the mailing address provided at check out. Choose from the selection of our commemorative greeting card designs and customize it with your personal message. We recommend placing your order no later than December 15th for delivery by Christmas. Pre-orders placed prior to December will be mailed out starting in the first week of December. If you wish to give someone the gift of trees this holiday season but do not have a mailing address for a card, our plant-a-tree e-certificates can be shared via email or social media (or you can print and frame). For those wishing to send a belated holiday gift, the 2018 holiday card will be available for purchase until March 1st.